Afternoon Loverlies! Ok. 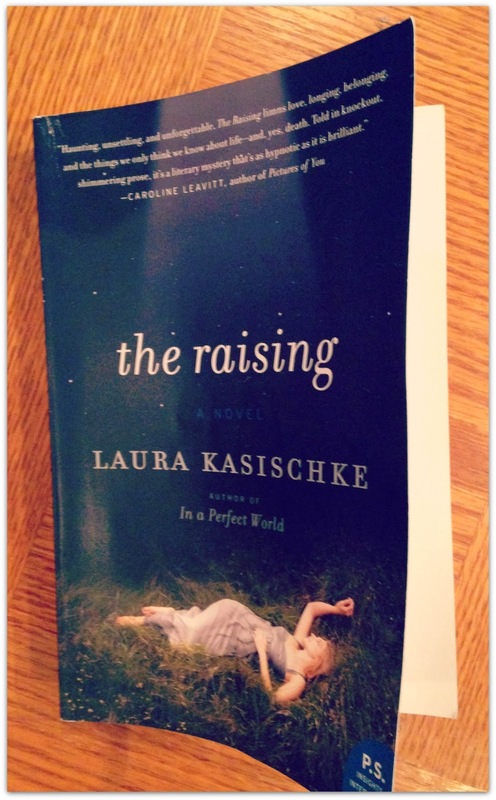 I have finally finished reading The Raising by Laura Kasischke. I have mixed feelings about this book. I kinda feel like I liked it, but I also definitely didn't like it. It actually made me angry! lol Basically because some of the characters. Seriously, my emotions are bouncing everywhere, because of reading this book. I guess it's going to happen though. I assume some writers want that from their readers. Well if that is what Kasischke wanted, she has SUCCEEDED!! argh. This book is about College life basically. Well, that and a bit more. Craig and Perry are roommates that live together in an apartment at Godwin Honors Hall. Craig falls in love with this blonde girl named Nicole, who lives in the Omega Theta Tau sorority house with her roommate Josie. Craig and Nicole have a car accident. Nicole is thrown from the car, but she is still alive. There is a professor named Shelly, who is there at the accident and calls for help. She is a witness who knows what exactly happens, even though, the newspapers/media constantly write wrong information about the accident. Somehow Craig doesn't recall the whole accident. But you slowly will find out the reasons why later on in the book. This book it seems, is written in about four different point of views. I wasn't very fond about how it was written. It seemed to jump from past to present. To this persons past and that persons present. Was confusing to get used to, I have never read a book written like this. This whole paragraph is a spoiler, skip to the next if you want to. ;) I was angry about when I found out that the sorority did hazing. Not that they did hazing but what they did during this secret hazing. It first explains they hyperventilate themselves enough to pass out. Then the sisters will take the body of the person that is being hazed, and stick her in a coffin until she awakens. They called it The Raising, hence the book name. You will find out later that it isn't exactly what is done. They have an EMT they pay to stay at the house with them. This EMT injects them with a drug called Scopolamine aka the zombie drug. If used it will knock you out and erase your memories. If used too much it will kill you. Well, of course, one of the sorority sisters named Denise is given too much. They cause the wreck Craig and Nicole were in. The way they get rid of Denise's body is they burn her body and claim it as Nicole's. That way they can cover up Denise's death. I guess a lot of the book I was angry at were these sorority sisters. They just easily ruined lives and there was nothing you could do about it. I was also upset that a cat died in the book. I hate it when animals die in movies/books. Yes, I know, that is life. I just can't stand to watch or read about it! argh. Like I said, I think I liked it, but I also didn't like it. Mixed Feelings. I think it is a decent story though. I wish it was written in a different way, instead of being scattered. That is my view on it. You will have to read it to see for yourselves if you like it or not. :D Ta Ta For Now! Reminder to myself....Take a photo of the book before reading. lol oops.